This study was part of a 6-year integrated project designed to build up a databank for students’ science conceptions in Taiwan. This study was based on our previous findings of the characteristic and sources of students’ mental models about acids and bases. In this paper we discuss the link between these mental models and the teacher’s pedagogical content knowledge. The authors adopted the naturalistic observation methods to observe a teacher’s pedagogical content knowledge in a ninth grader classroom. The findings showed that the teacher’s instruction nearly followed the teacher’s guide, but used a “spiral” method of teaching and emphasized rote learning. In addition, in teaching propositions, the teacher spent the most time supplementing the calculation of pH values, which was covered in previous edition of the textbook. Furthermore, the teacher overemphasized the specific properties of special strong acids, rather than general properties. In teaching representations, the teacher spent most time on elaborating textbook, giving examples and calculating pH values. Everyday experiences, TV media and teaching experiments were important sources of teacher’s examples. However, these sources were not based on students’ preconceptions of acid and base, therefore her teaching reinforced students’ incorrect understanding. Researchers in Taiwan conducted a 6-year National Science Learning Study to investigate Taiwanese students’ science understanding and the sources which influenced them. This study was part of this project. After national survey results were compiled, we took much effort to looking at teacher-student interactions, everyday languages, and representations in textbooks for inferring the causes of student conceptions. Our previous studies have analyzed the characteristics and sources of students’ mental models in acids and bases from the results of students’ two-tier diagnostic tests and interviews before and after the instruction. Results showed that most students held the Phenomenon Model, the Character-Symbol Model, the Inference Model or the Scientific Model. The detailed characteristics of these mental models are listed in Table 1. In addition, more students at the lowest achievement level held a “Phenomenon Model” or “Character-Symbol Model”. The sources which influenced them were diverse, including the TV media, everyday experiences, science experiments, intuition and superficial meanings of words in textbooks and classmates’ discussions. On the other hand, the students with the highest achievement were more likely to hold as “Inference Model” or “Scientific Model”, and they were mainly influenced by formal instruction (Chiu, Lin, & Liang, 2003; Lin, Chiu, & Liang, 2004). Finally, in this study, we discuss what teacher’s role was in influencing students’ science understanding in this study. Phenomenon Model Students view acids and bases as substances with particular attributes. They use macroscopic characteristics such as toxic, corrosive, or strong flavor as criteria to determine the acidity or basicity of a solution. Character-Symbol Model Students thought acids or bases are substances that contain specific chemicals. They use specific characters, symbols or names of functional groups to determine the characteristics of the acidity or basicity of a solution. Inference Model Students hold some fragmentary scientific concepts about acids and bases, and use incorrect inference to link these fragments. Scientific Model Arrhenius model. Acids are substances that produce hydrogen ions in solution. It is well known that young learners held the Phenomenon Model, and think acids are substance with particular attributes (Oversby, 2000). Researchers claim that the source of influence for this is daily experience (Nakhleh & Krajcik, 1994; Oversby, 2000; Ross & Munby, 1991). But in our previous studies (Chiu et al., 2003; Lin et al., 2004), we found that the influence weight of everyday experience was minor. On the contrary, TV media (especially the TV news of someone splashed sulfuric acid/ hydrochloric acid) and school teaching experiment played the crucial roles. In addition, some studies indicated that students tended to use specific words or names to determine the acidity or basicity of a solution, but this can easily be changed by formal instruction (Chiu, 2000). However, our previous studies showed the representations of the Character-Symbol Model were with scientific and professional look, and inappropriate teaching could reinforce students to take the literal meaning of the characters, words or symbols (Lin et al., 2004). 1. What were the differences between teacher’s teaching structure and the one which teacher’s guide for textbook suggested? 2. How did the teacher’s teaching time and frequency of propositions influence students’ science understanding? 3. How did the teacher’s teaching representations influence students’ science understanding? The participants in this study included a science teacher, Mrs. Chen, and 38 ninth grade students in Taipei. The student data involved general data from both classes of students and detailed data from six target students (three were high achievement and three were low achievement). The authors used the two-tier diagnostic test for data from all students and interview data from the six target students before and after Mrs. Chen’s formal instruction. The data was used to conclude the characteristics and sources of students’ mental models about acids and bases (Chiu et al., 2003; Lin et al., 2004). Mrs. Chen, the science teacher, had six-years teaching experiences, and had graduated from applied chemistry department. At the beginning of her career, she had adopted a “constructivist teaching method” but soon found the students were habituated to “traditional teaching” from elementary school. Therefore, she determined that structured teaching could help most students to learn and to conquer their fear of science more efficiently. So she changed her teaching to a traditional method. The authors used the science teacher’s interview data before and after instruction, and classroom observations to link the relationship between the teacher’s PCK and students’ understanding of acids and bases. The complete instruction of chapter 13, “electrolyte”, was videotaped from September to November in 2002, and the entire 15 classes were transcribed verbatim. Next, the topic of acids and bases (section 13-2, Figure 1B) was chosen as a focus and utilized the software program Event Recorder 7.0 (Berger, Walton, Jones, & Wurman, 1999) to record the sequence and time of the teacher’s teaching in propositions and representations (see appendix). The reliability of raters was 92%. The teaching structure which teacher’s guide suggested is showed as Figure 1A. How did Mrs. Chen organize her teaching structure? She started her instruction with an experiment on electrolytes, then returned to review previous chapter. After summarizing the previous chapter, she introduced what “electrolyte” is. She told students that “electrolyte” is main topic of chemistry, and reciting again and again is the only trick to gain high scores. In sum, Mrs. Chen’s instruction almost followed the suggestion of teacher’s guide, but adopted the “spiral” method of teaching. She always started a new topic after reviewing or testing the topics taught before (Figure 1B). Both teaching time in total chapter and in the topic of “acids and bases”, Mrs. Chen spent twice the amount of time suggested in the teacher’s guide. The following is a systematic analysis of the teacher’s teaching propositions and representations (also see appendix). Mrs. Chen totally spent 123.42 minutes to teach the topic of “acids and bases” (not including quizzes, experiments and indirect teaching about this topic). The way she introduced this topic was by inserting the Chinese denomination rules of acids, bases and salts in teaching the topic of “electrolyte”. For example, she told students that “Let’s draw a conclusion from these examples. If we see the Chinese name of unknown chemical with ” ” (implies acid) and nonmetallic substance, then it is acid.On the contrary, the Chinese name of something with ” “(implies hydroxyl) , it is base. I hope all of you could look at the Chinese name of unknown chemical and identify their acidity or basicity soon.” The total procedure which included spot checking students’ understanding took 6 minutes. After teaching Arrhenius’s ionization theory, Mrs. Chen adopted the definition of Arrhenius to teach the recognition of acids and bases as the last class of teaching this topic (10/29 afternoon). She spent a total of 125 seconds on this (see appendix). In our previous study, the formal instruction weight which leads to the Character-Symbol Model was 25% to 75% after Mrs. Chen’s instruction (Lin et al., 2004). Overemphasizing the Chinese denomination rules of acids, bases and salts and ignoring the definition of Arrhenius lead to the Character-Symbol Model, which students thought acids or bases are substances that contain specific chemicals. As far as the time of proposition was concerned, Mrs. Chen took the most time supplementing calculations of pH value (including logarithm) and the pH value change when diluting acids or bases (see Figure 2A). These propositions were involved in previous edition of textbook, but the teacher urged students to study for succeeding in subsequent leaning in senior high school. Other propositions which Mrs. Chen spent more time were “properties of acids”, “properties of bases”, and “the acidity or basicity of something specific”. Although the teacher’s guide suggested introducing acids and bases moving from general properties to specific cases, the teacher paid more attention to a few important acids and bases, especially to acids. In the properties of acids, she elaborated most on the dangers of hydrochloric acid (8/11) by extending the textbook content. For the “properties of bases”, she elaborated most on Ca(OH)2 (6/13) stressing adding water to lime to create an exothermic reaction and the difference and transform between lime (Ca(OH)2 and marble (CaCO3). The teaching representations she adopted including elaborating on the textbook and giving examples from TV. With regard to “the acidity or basicity of something specific”, Mrs. Chen paid the most attention to “salt solution” and “blood”. She liked to give examples such as these then asked students to memorize the acidity or basicity of these specific cases. How did Mrs. Chen employ teaching representations to promote students’ learning? Due to her belief that chemistry is a subject with a special emphasis on memory, she spent most of her time on elaborating on the textbook, giving examples and calculating of pH values (including logarithm) (Figure 2B). Moreover, when giving examples, she liked to cite instances from daily life, except concrete (students asked its constituents) and milk (related to emergencies), all examples transmitted the information about the dangers and toxicity of acids and bases. In our previous studies, we coded the sources which influence students’ mental models as formal instruction, outside school teaching, social environment, everyday experience as well as intuition and found that different mental models were related to different sources (Chiu et al., 2003; Lin et al., 2004). Since giving examples was the most important teaching representations Mrs. Chen adopted, we were curious about the sources of her teaching examples. Did Mrs. Chen generate examples based on students’ preconceptions? In Figure 3, one half of teacher’s examples were related to everyday experience (including mercurochrome, gentian violet, hydrochloric acid, sodium bicarbonate, ammonia, urine, bee venom, concrete, betel nuts and milk). Others were related to previous instruction (20%) and social environment (20%). With regard to previous instruction, the teacher stated the experimental apparatus, procedures and chemical equation of the HCl fountain. She also reminded the students that salt water was not basic by mentioning a past experience of directing seventh grader’s science fair. In the case of social environment, the teacher mainly cited the instances of adding water to lime to release heat in “NHK” and the cartoon -“Detective Conan”. She also mentioned the advertisement of losing weight to explain how a base could dissolve fat, as well as the HCl fountain shown on the Discovery Channel. When we explored the time distribution of teacher’s examples deeply, we found that the teacher spent most of the time on experiment guidance (44%). She chiefly articulated HCl dissolved in water easily, and introduced variety methods to collect gases. These concepts were related to previous examinations, so Mrs. Chen spent lots time to instruct. Mrs. Chen adopted two main strategies for teaching acids and bases. One was teaching students the acidity or basicity of specific chemicals rather than teaching the general properties of all acids and bases. The second was teaching students the Chinese denomination rules for acids, bases and salts to judge the acidity or basicity of a solution rather than explaining Arrhenius’s theory. These two strategies were effective for the high achievement students and the average achievement student quick answer correctly on the quiz. However, these led to more incorrect connections of fragmentary science conceptions for the students with low achievement (Chiu et al., 2003; Lin et al., 2004). Therefore, we highly recommend the teaching structure suggested in the teacher’s guide which included starting with Arrhenius’s “ionization theory” before examples and teaching general properties before specifics. The authors found that Mrs. Chen spent most of her time introducing hydrochloric acid and used many examples of its corrosiveness. To remind students to use HCl and H2SO4 carefully is correct and good for safety of laboratory, however, the teacher was unaware that her teaching representations strengthened the use of students’ “Phenomenon Model” (Chiu et al., 2003; Lin et al., 2004). For this reason, teachers should not only remind students of these strong acids’ toxicity, corrosiveness and strong flavor, but also give examples of weak acids and weak bases. Teachers should also explain clearly that the corrosiveness is not equal to the acidity or basicity of solutions, thus avoiding students misunderstanding the concepts of acids and bases. No matter the source of students’ Phenomenon Model or teacher’s examples, TV played the crucial role in reinforcing them. As for the students, they referred to seeing someone splashed sulfuric acid at school entrance on the TV news, and the dread became their criterion for identifying the strength of solution’s acidity (Chiu et al., 2003; Lin et al., 2004). As for Mrs. Chen, she used many examples of experimental procedures and facts from TV to help students memorize facts and arouse their learning interests. However, the teacher ignored to base students’ prior knowledge to design teaching representations for changing students’ Phenomenon Model. In this case the teacher could have used the example of someone splashing sulfuric acid from the TV news, and correct students’ Phenomenon Model by this chance. In other words, we recommend that the design of teacher’s teaching representation should start from students’ prior knowledge. The authors would like to acknowledge National Science Council in Taiwan for its financial support for completing this study (grants # NSC 92-2552-S-003-010, NSC 93-2511-S-003-040). Berger, C., Walton, C., Jones, T., & Wurman, P. (1999). The Event Recorder (Version 7.0). Ann Arbor, MI: The University of Michigan. Chiu, M. H., Lin, J. W., & Liang, J. C. (2003, December 16-18). An Exploratory Study on Causes of Students’ Misconceptions in Acids and Bases. Paper presented at the International Conference on Science & Mathematics Learning, Taipei , Taiwan , R.O.C. Lin, J. W., Chiu, M. H., & Liang, J. C. (2004, March, 31-April, 3). Exploring Mental Models and Causes of Students’ Misconceptions in Acids and Bases. Paper presented at the NARST 2004, Vancouver, Canada. Magnusson, S., Borko, H., & Krajcik, J. (1998). Nature, sources, and development of pedagogical content knowledge for science teaching. In J. Gess-Newsome & N. Lederman (Eds. 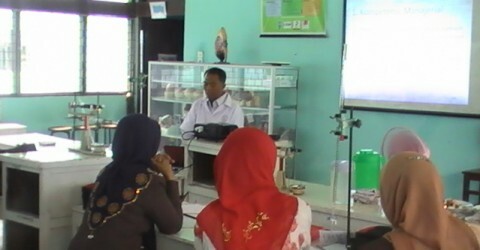 ), Knowledge for Science Teaching: US, Kluwer. Nakhleh, M. B., & Krajcik, J. S. (1994). Influence on levels of information as presented by different technologies on students’ understanding of acid, base, and pH concepts. Journal of Research in Science Teaching, 31(10), 1077-1096. Oversby, J. (2000). Models in explanations of chemistry: The case of acidity. In J. K. Gilbert & C. J. Boulter (Eds. ), Developing Models in Science Education. Dordrecht/Boston/London: Kluwer academic publishers. Ross, B., & Munby, H. (1991). Concept mapping and misconceptions: a study of high school students’ understandings of acids and bases. International Journal of Science Education, 13, 11-23. Tobin, K., Tippins, D. J., & Gallard, A. J. (1994). Research on instructional strategies for teaching science. In D. L. Gabel (Ed. ), Handbook of Research on Science Teaching and Learning. New York, Macmillan. van Driel, J. H., Verloop, N., & de Vos, W. (1998). Developing science teachcers’ pedagogical content knowledge. Journal of Research in Science Teaching, 35(6), 673-695.